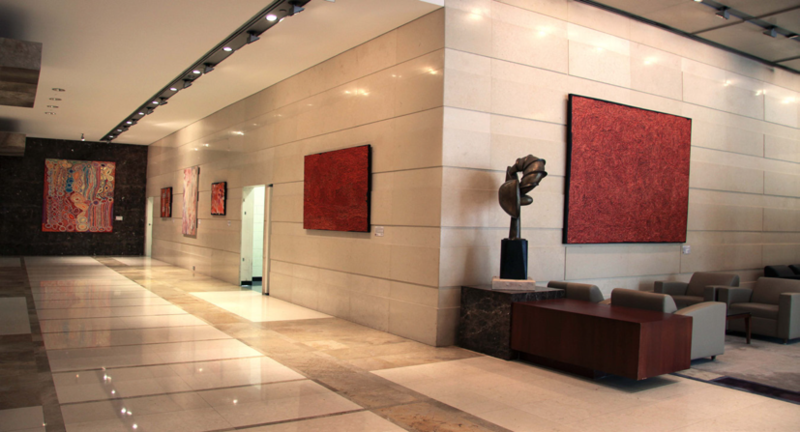 Art in the office environment makes a statement, it reflects your organisation's style and creates an atmosphere of success and stability. 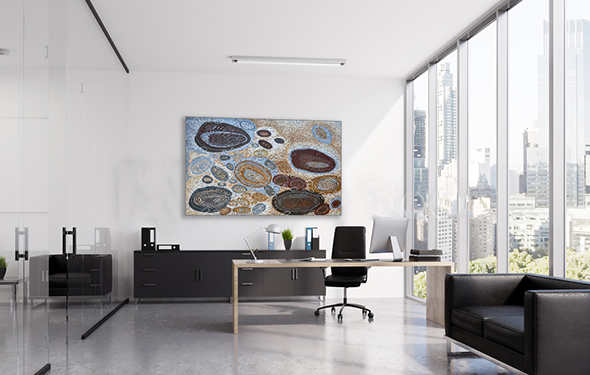 Well chosen, well placed, dynamic paintings help to create a contemporary, stylish work environment, a 'talking point' to be appreciated by staff and visitors alike. 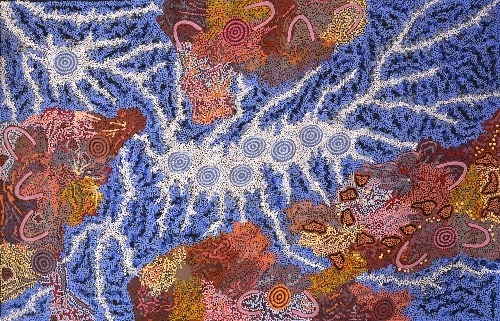 Kate Owen Gallery have an outstanding selection of Aboriginal art, more than 2,000 paintings by over 300 artists, from emerging to established. Our huge stock caters for a wide variety of styles and price points. Kate Owen Gallery can transform what could be a daunting process into an easy collaboration. After initial site assessment, our Senior Art Consultants can bring a selection of artworks to be left in situ for a few days to allow all those involved in the decision making process, an opportunity to consider the work. To discuss this opportunity further, please contact the gallery.